Here’s what you need to know about making the most out of the simplest and least expensive weapon in your workout arsenal—the training log. As far as training aids go, journaling your workouts is as low-tech (if you want it to be, naturally) and cheap as it gets. Unlike spending $80 for a half-empty container of your favorite toilet-shattering supplement that lasts three weeks, a training log will spare you the GI issues, as well as give you a powerful foundation of accountability and consistency in the gym. And at the end of the day, it’s that consistent application of effort in your workouts that yields the results we so desperately want. 1. Record your workouts promptly. Look, we love to think that our memory is perfect. That we remember everything exactly as it was. I hate to be the one to break it to you, but the wet noodle between our ears isn’t perfect. If you are serious about crushing your plateaus and insuring an accurate workout history ya need to record the sets, reps and weights immediately post-workout. You can be the lifter who writes out weights and sets during their workout as well, or you can wait until you get home. Do whatever you know will give you the most accurate record of results, and forego the “Did I do 225 last week, or was it 235?” facial expression that is all too prevalent at the gym. 2. Go beyond the workout you did. For me, sitting down with my log book when I get home is my ritual. It’s equally therapeutic and record-keeping. For a few minutes I go over the workout, reflect on what went right, what did not, and jot down any relevant notes. It gives me an opportunity to put my workout in the greater context of my week of training, while also giving me a chance to evaluate the week-to-date. 3. Use it to plan your next workout. When I am writing out the day’s workout I already have an eye toward tomorrow. Why? Because planning tomorrow’s workout today allows you to be a little more ambitious. 4. Use it to manage the important stuff. Going through my workout history I have noticed very consistent habits and patterns with how things outside of the gym affect my performance on the bench. Sleep, in particular, is the most striking. It’s why Mondays are always a great pair of workouts (Sunday is a designated sleep-in day unless there is football on), and why on nights where I toss and turn I end up having a high rate of perceived effort session the following day. Nutrition is another. Use your logbook to plan and meal prep, or use it as as an actual food journal (the benefits of which are laughably powerful). Your training log gives you an opportunity to manage these things, so use it to do so. 5. Share it with your coach or trainer. If you are working with a coach or trainer sitting down with them periodically and flipping through your training log is a powerful way of evaluating the effectiveness of your training program. There will be insights in the notes (and lifestyle stuff that might not always show up in the gym) that will help them better program your training. While your coach is an expert, they aren’t mind-readers—the more they can understand the way you respond to training the better positioned they are to help you get the most from your workouts. 6. Use it in a way to maximize results for yourself. In my years training I have never seen two log books that were identical in style. Some athletes prefer to write out a two-page dissertation following each workout documenting how they felt, aches and pains, stress levels, technical thoughts, and so on. While others write the date, the sets, the reps, and abbreviate the exercises, and that is absolutely it. What works for me might not work for you, and vice versa. Find a style of training log that you can be consistent with and roll with it. 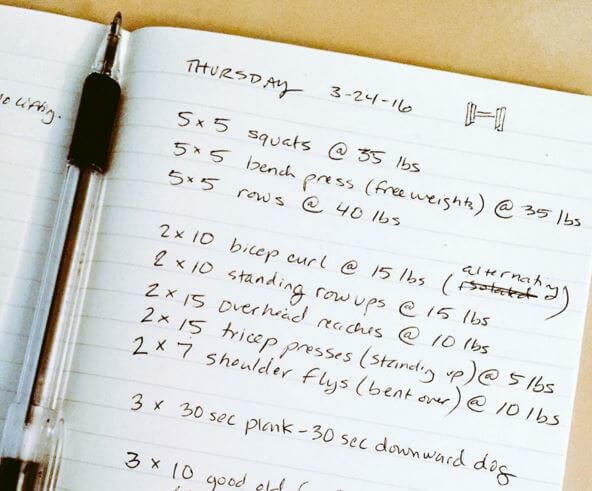 Your workout log is your tool–no one else’s. 7. 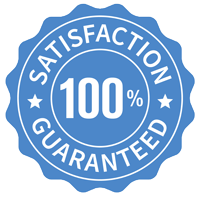 Use it for progression. Seems overly obvious, but to get stronger, faster, better-looking the goal is progression. Whether it’s a heavier weight, more reps, more speed, throwing add-ons like bands and chains onto the bar, or whatever, your training log is the home for recording it. 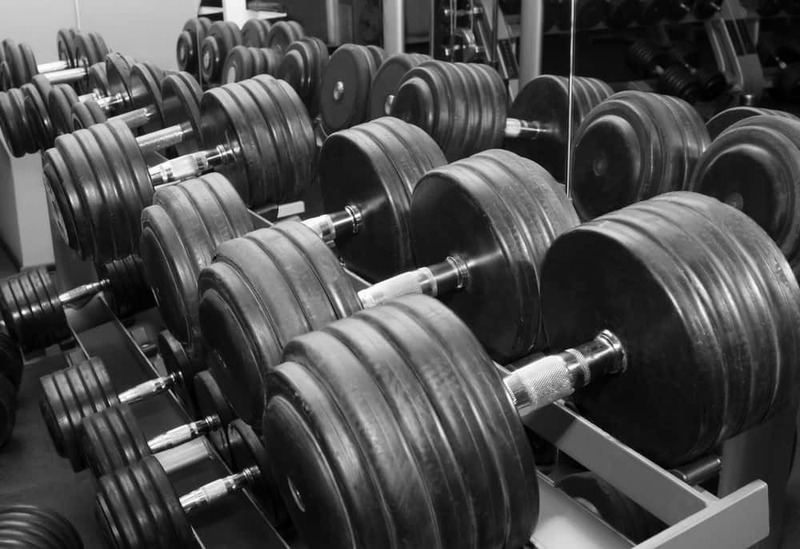 Going into the gym and doing the same thing, for the same amount of reps, at the same weight over and over again not only yields little in terms of growth, but it is profoundly tedious and boring. Progression provides unstoppable workout motivation, it keeps you looking forward to the gym, and gives a revolving set of goals that keeps you mentally engaged long after that first wave of inspiration has passed you by.